African swine fever (ASF) is widespread in China, spreading elsewhere around the world and carries significant potential to impact all animal protein industries in 2019 and beyond. With no signs of a solution, ASF will continue to demand the attention of the global meat market for as far as any statistical information would indicate. Taiwanese biotech company Excelsior Bio-System Inc. says it has developed a rapid test kit to detect African swine fever (ASF). The National Pork Producers Council’s board of directors has decided to cancel World Pork Expo 2019 out of an abundance of caution as African swine fever (ASF) continues to spread in China and other parts of Asia. Merck, known as MSD outside the United States and Canada, announced on April 1 the completion of its acquisition of Antelliq Corporation from funds advised by BC Partners. Cooper Farms has announced the opening of its new biosecurity truck wash location in Ashley, Indiana, to assist in maintaining the highest health standards for their hogs. Over the past three weeks, the number of outbreaks of classical swine fever (CSF) in domestic pigs in Japan has jumped from 11 to 17. Vaccination of wild boar has begun, and new research points to a likely source of the virus in Japan. Veterinary authorities in Cambodia have reported the Southeast Asian country’s first ever outbreak of African swine fever (ASF), and there have been new outbreaks in domestic pigs in China, Romania and Vietnam. 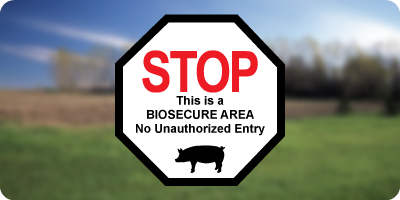 The Inspector of the Canadian Food Inspection Agency has imposed an order imposing conditions in relation to secondary control zones to guard against African swine fever (ASF). Rome will host the 6th Intestinal Health Scientific Interest Group or Gut Health Seminar on April 2. At this occasion, Adisseo is focusing its first Advancia Academy 2019 on butyrate. Maple Leaf Foods has promoted Kathleen Long, DVM, to vice president of animal care. African swine fever (ASF) has made an alarming jump in Vietnam, causing the first outbreak in a centrally located province while also continuing its spread in the north. The disease has also returned to Moldova, and the virus has infected more European wild boar. The U.S. Department of Agriculture's Chief Veterinary Officer, Dr. Jack Shere is reminding pig producers and veterinarians of the signs and symptoms of a deadly swine disease that could dramatically impact the U.S. pig population. U.S. Customs and Border Protection (CBP) agents seized approximately 1 million pounds of pork products from China at the port in Newark, New Jersey, according to reports. With African swine fever (ASF) apparently spreading rapidly across northern Vietnam, the government is working on stronger measures to control the disease, while new outbreaks have been confirmed in China, Romania and Russia, as well as among the European wild boar population. Canada has added $31 million in new funding to increase the number of detector dogs at the country’s airports to prevent illegally imported meat products from entering its borders. Opening Ceva’s “C the future” Innovation summit ahead of Asia’s leading agricultural show, VIV Asia, Ceva Chairman & CEO, Marc Prikazsky said that the agricultural industry should draw pride and motivation from the work it delivers every day to protect future generations. A new outbreak of classical swine fever (CSF) has occurred at a farm in Gifu prefecture of Japan, and the virus has been detected in more wild boar. With a sudden increase in confirmed cases of African swine fever (ASF), national and local authorities are stepping up control measures to slow down the spread of the virus. New outbreaks have also been reported in domestic pigs in China, Romania and Ukraine, and among the European wild boar population. As the pork sector and related industries have their eyes on the African swine fever (ASF) situation, it could be particularly catastrophic if the disease were to heavily hit in China. The U.S. Department of Agriculture (USDA) said it is taking additional steps to keep African swine fever (ASF) from entering the U.S.
Scientists have yet to confirm that the virus is present in commercial animal feeds, but lab experiments suggest contaminated feed could cause swine to fall ill. Although African swine fever (ASF) has been spreading throughout China since last summer, New Hope Group, which owns China’s largest animal feed producer New Hope Liuhe, says it is not suffering negative effects from disease outbreak. While the first cases of African swine fever (ASF) have been confirmed in Vietnam, new outbreaks have been reported in domestic pigs in China and Romania. GVL, a leading provider of technology solutions to veterinarians and animal health professionals, announced Feb. 25 the addition of its new executive leadership team member, Vice President of Product Matt Keller. While Japanese farmers urge their government to begin a program to vaccinate domestic pigs against classical swine fever (CSF), this strategy is set to start in selected areas for wild boar. The Unites States, Canada and Mexico are partnering to prevent the African swine fever (ASF) virus from entering their borders. Vietnam has reported African swine fever (ASF) for the first time, and new cases in domestic pigs have been recorded in the past week in China, Italy, Mongolia, Poland, Romania and Zimbabwe. Copyright © 2016 Swine Health Ontario. All rights reserved. Ontario’s swine industry has a new leadership team to coordinate and align swine health management. Develop and implement a long-term, sustainable, coordinated, pro-active swine health strategy. The Ontario industry will have a global competitive advantage in swine health.